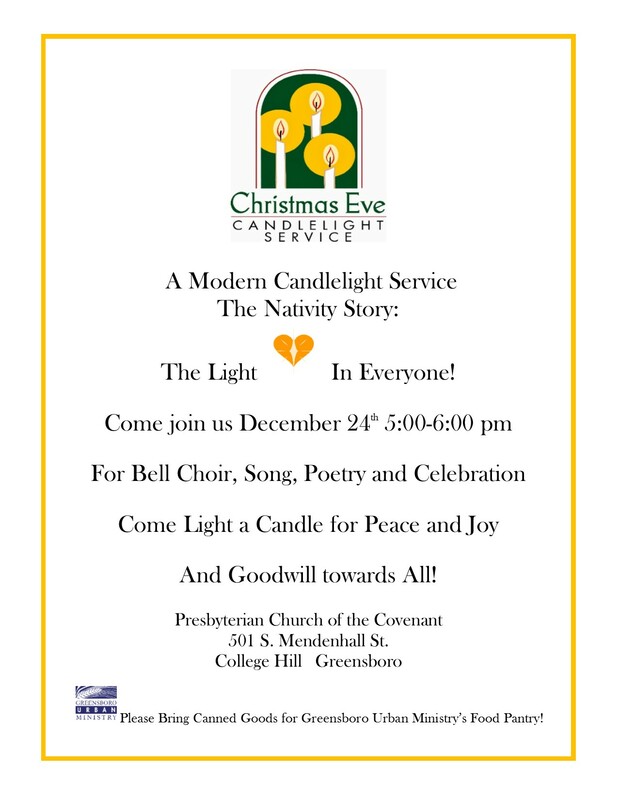 Please join us for a Modern Candlelight Service, from 5 p.m. to 6 p.m. on Christmas Eve. Bring a canned good to benefit Greensboro Urban Ministry. This entry was posted in Presbyterian Church of the Covenant. Bookmark the permalink.